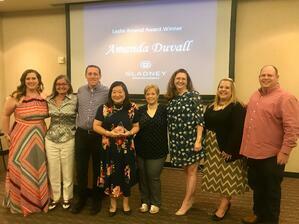 Amanda Duvall was recognized as the 2018 Leslie Amend Award winner (Fort Worth Area GFA Volunteer of the Year) at the Gladney Center Board Meeting dinner last night. Amanda has made a significant impact on the FW Area GFA Board over the past four years as a passionate adoption advocate. Her volunteer activities are as varied as her skills, including: leading the local Kendra Scott Gives Back Party for the last three years; supporting actively waiting families by planning and promoting education courses offered through the GFA such as Baby Care Basics; engaging and on-boarding her peers at TCU to learn more about Gladney by encouraging them to attend the Walk & Talk Tours, sign up for Gladney University courses, and make connections with the nursing department & Gladney outreach; and simply acting like a friend to those who are most in need of one. 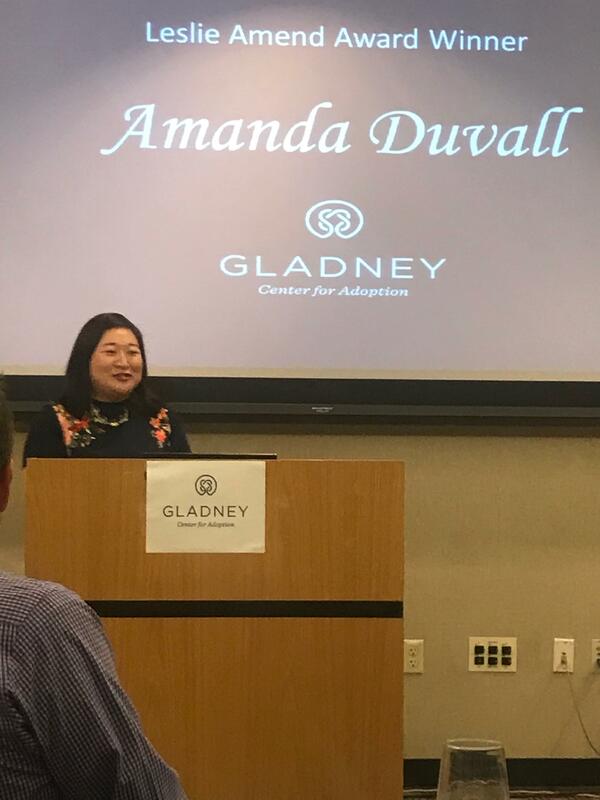 Amanda has also directly and personally raised much needed funds for Gladney by sitting on the National Adoption Month fundraising committee for two years, and creating the Fund A Need project. She has also served on the board in the birth mother liaison position to include planning the birth mother Thanksgiving and birth mother brunch for two years. Amanda also worked with Gladney Asia programs including planning the Chinese New Year event in both 2016 & 2018. 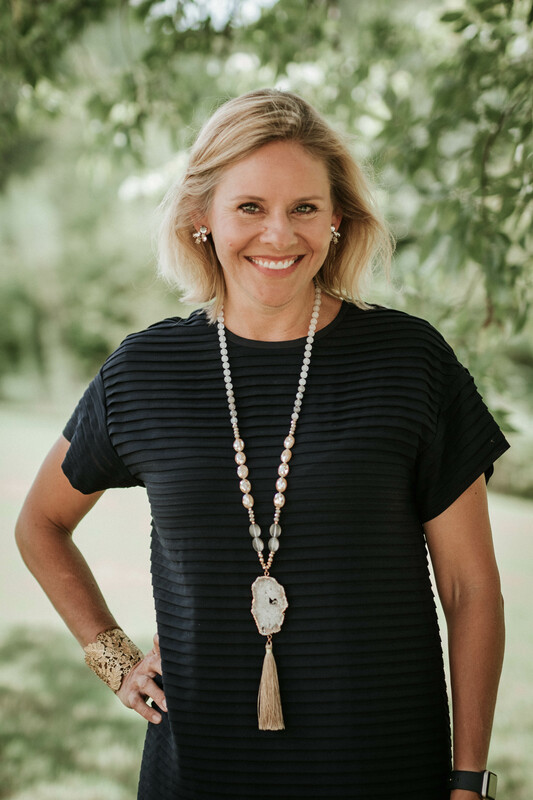 Amanda currently serves on the Fort Worth Area GFA Board as secretary and president at large. She has led outreach efforts in the past through the GFA, always says yes to step up to fill a gap on the board, and also helps with the DFW Adult Adoptee group/events. Created in 1995 and presented annually to an outstanding volunteer who best exemplifies Leslie’s spirit and commitment to Gladney and all members of the adoption triad.